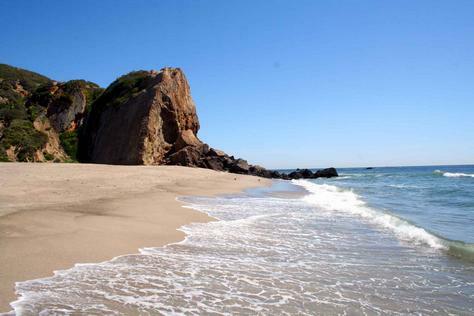 Point Dume State Beach features headlands, cliffs, rocky coves and vast beach access. The beach is presently operated by Los Angeles County, which also operates Zuma County Beach. These facilities are noted for swimming, surfing, scuba diving and fishing. Point Dume is a perfect place to watch for California gray whales during the December to mid April migration period. From Santa Monica follow Pacific Coast Highway 18-miles west to Westward Beach Road. Turn toward the ocean, go beyond the fee collection station to the very end of the road. From the 101-Freeway, exit at Kanan Road, follow it south 12-miles to Pacific Coast Highway, then turn right. Westward Beach Road is over the rise, at the foot of the hill. 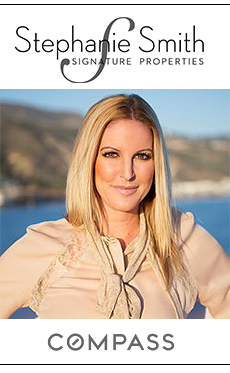 This entry was posted in Beaches, Malibu Hot Spots. Bookmark the permalink.